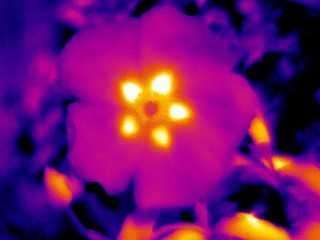 On average these patterns were 4-5°C warmer than the rest of the flower, although the patterns could be as much as 11°C warmer. 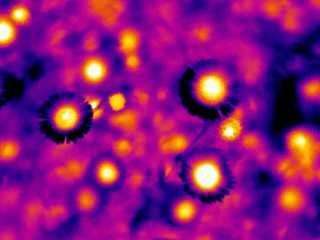 The Bristol Scientists made artificial flowers that copied these heat patterns, but did not include the corresponding colour patterns. The study's lead author, Dr Heather Whitney, from the University of Bristol's School of Biological Sciences, said: "The presence of multiple cues on flowers is known to enhance the ability of bees to forage efficiently, so maximising the amount of food they can take back to sustain the rest of their colony. 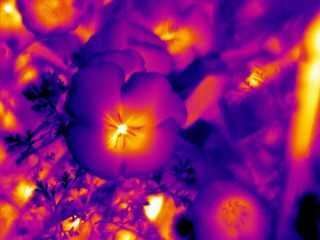 "Climate change might have additional previously unexpected impacts on bee-flower interactions by disrupting these hidden heat patterns." The study is published in eLife.